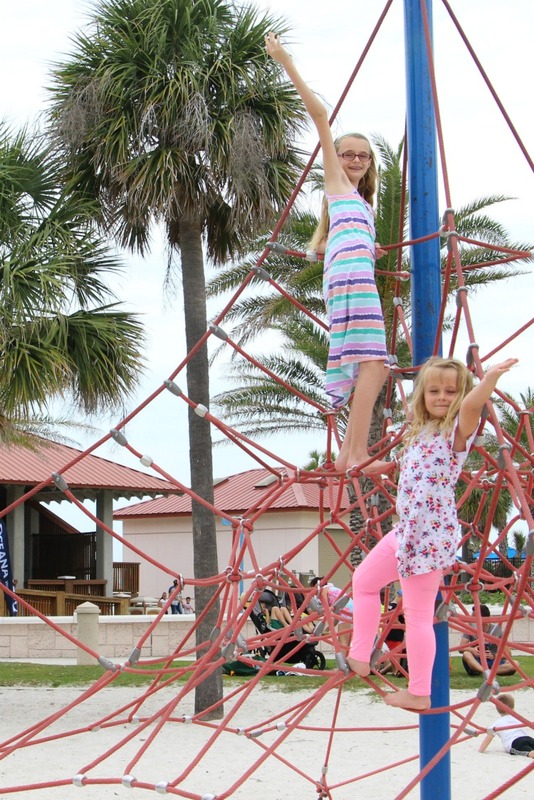 Clearwater, Florida may be known for its sugar sand beaches, but there’s are a lot more family friendly things to do in Clearwater than just lounge near the water. From nightly sunset festivals to celebrity dolphins, choose from many fun things to do that everyone in the family will enjoy. 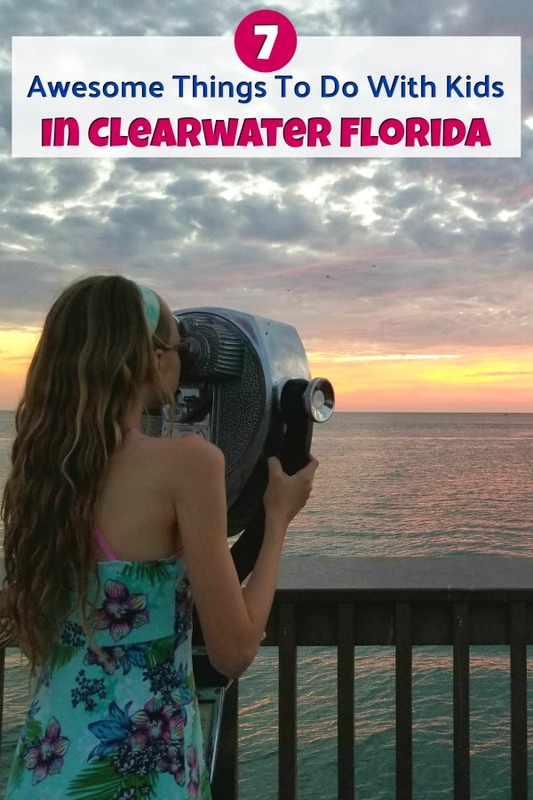 In fact, Do It All TravelingMom says you may just need to book a few extra vacation days to squeeze in these 7 family friendly things to do in Clearwater, Florida. 2. Enjoy The Sunset Festival At Pier 60. 6. Visit The Clearwater Marine Aquarium. 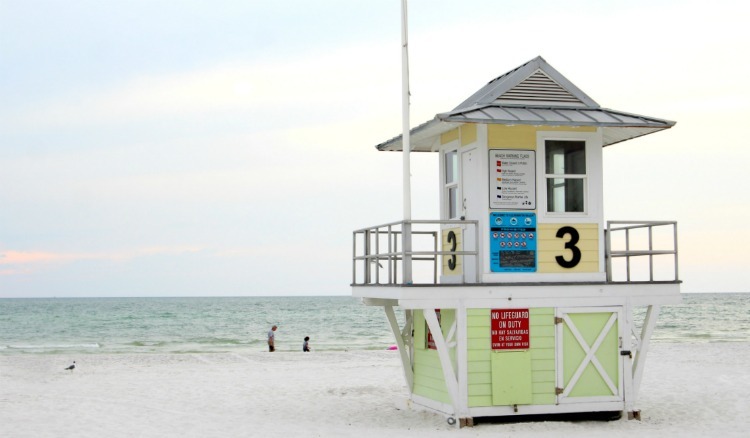 Planning a Clearwater family vacation? If so, discovering fun things to do for the family is probably at the top of your to-do list. Luckily, we learned that it’s easy to find fun things to do with the kids that the adults will love as well. 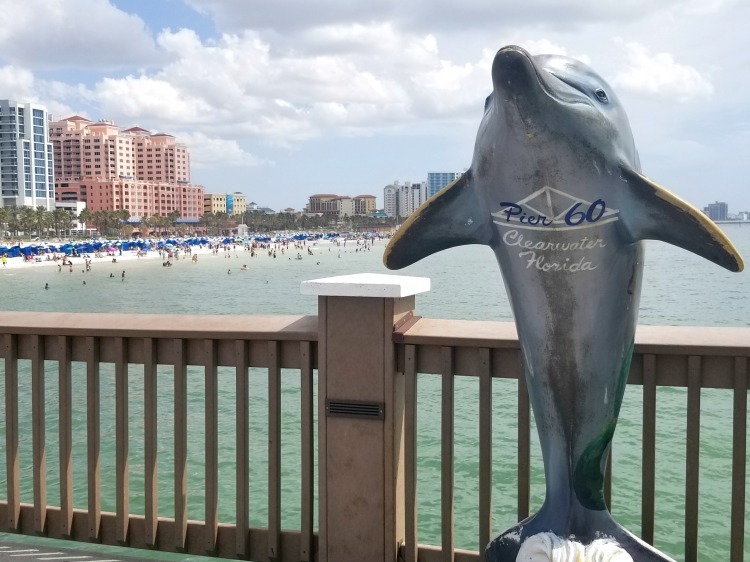 Whether you want to relax on the beach or go searching for dolphins in the Florida gulf, there’s no shortage of family fun in Clearwater, Florida. 1. 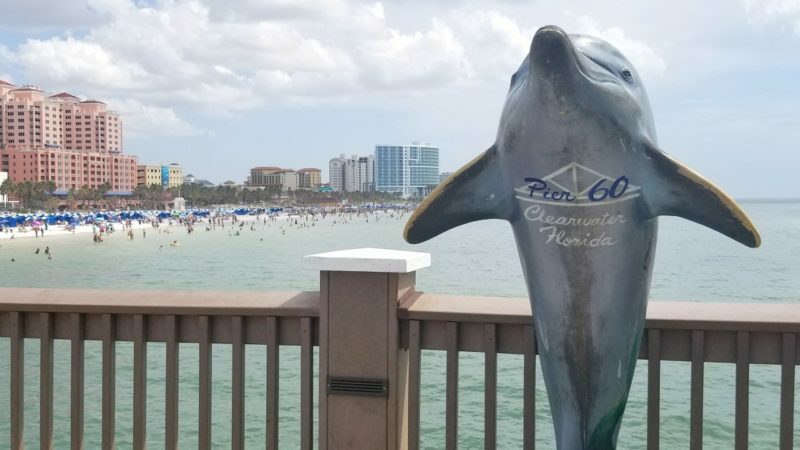 Hang Out On Clearwater Beach. 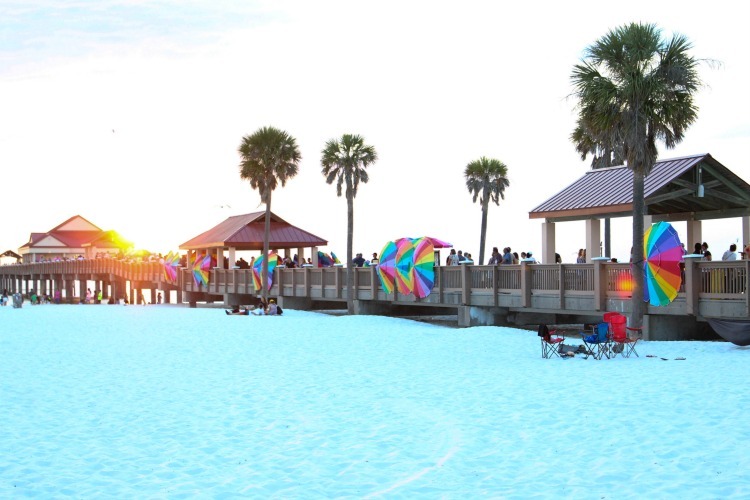 Clearwater Beach is known for its sugar sand and gorgeous sunsets and has the awards to back it up. It won Trip Advisor’s 2018 Traveler’s Choice Award for being the #1 Beach In America and also earned a 2018 Traveler’s Choice Award for being one of the Top 10 Beaches In The World. It’s no wonder that so many people want to spend their beach vacations here. The white, sandy beach stretches for about three miles, so even when it’s crowded, it doesn’t feel that way. There are chairs and umbrellas available to rent and lots of great places to eat just a short walk away. My kids also loved the inflatables on the beach, though I found them a little pricey. After a day on the beach, we loved wandering over to Pier 60 for the nightly Sunset Festival. 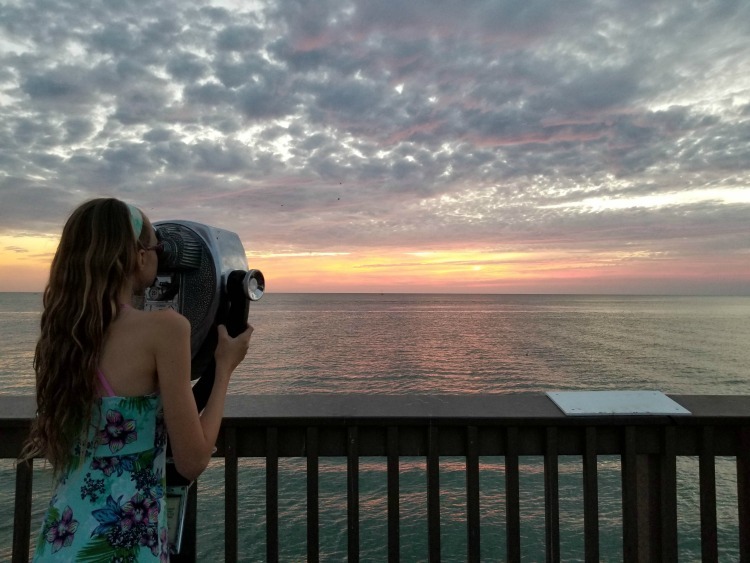 Weather permitting, the celebration runs from two hours before sunset to two hours after sunset and it should be on the must-do list for any Clearwater family vacation. 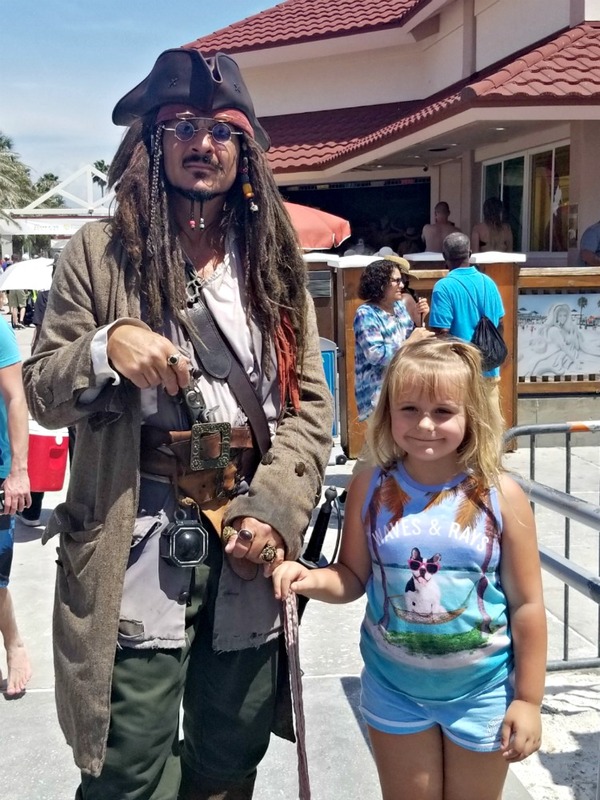 The pier and surrounding area are filled with musicians, street performers, local artisans and you may even run into a pirate or two. You can pop into the gift shop to buy souvenirs and postcards or relax on a bench while the kids play on the playground. When the sun starts to set, be sure you’ve got your camera ready. 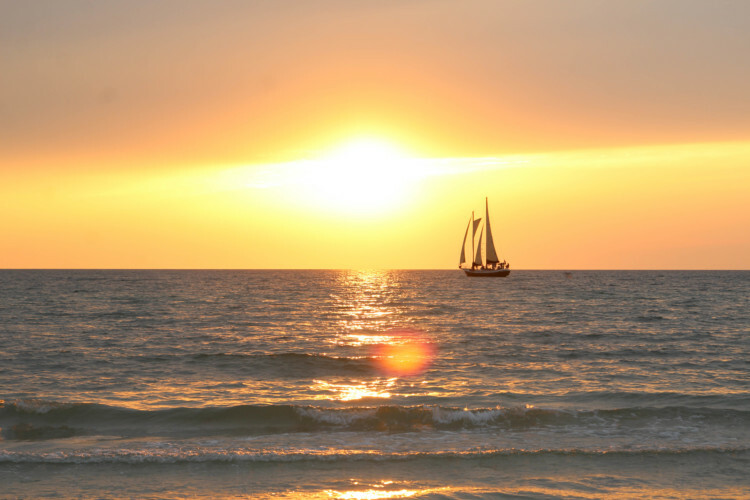 Clearwater sunsets are absolutely stunning and you’ll get plenty of Instagram worthy photos! Once the sun sets, head to the lawn just in front of the pier to catch a movie at the Sunset Cinema. Just grab your favorite movie snacks and spread a blanket on the lawn in front of Pier 60. The movies begin just after dark throughout the summer months and recent features included everything from The Little Mermaid to Star Wars: The Last Jedi. 3. Take A Boat Tour. 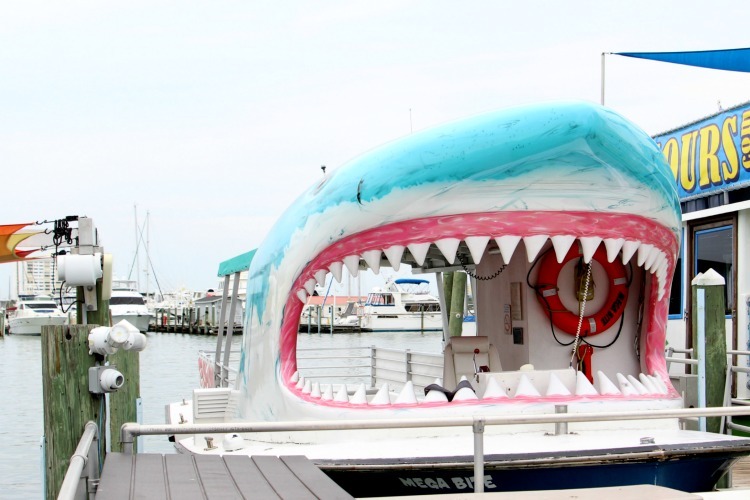 From sunset tours to dolphin cruises, there is no shortage of boat tours to choose from. One popular cruise takes you aboard a pirate ship where kids can set sail with a friendly pirate crew. 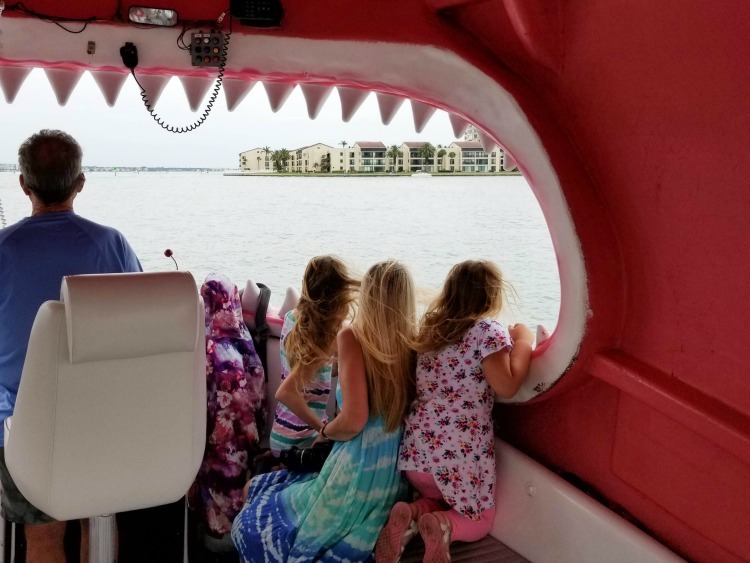 We chose to take a dolphin tour on the Mega Bite, a boat resembling an oversized shark and it turned out to be one of our favorite family-friendly things to do in Clearwater. We peeked out of the shark’s mouth while trying to spot dolphins. It didn’t take long to find them. We’ve been on a few dolphin tours and some days are better than others. 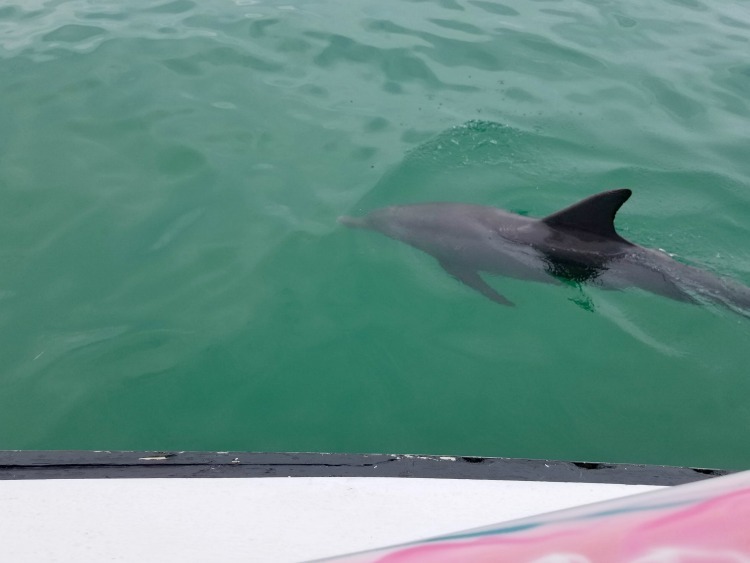 However, we got really lucky on this tour and found dolphins right away. In fact, we got the best dolphin show any of us had ever seen! If you go out later in the day, you may want to try a sunset cruise. It looks like the passengers on board this boat got a pretty amazing view! Frenchy’s South Beach is one of the more popular places to eat in Clearwater. 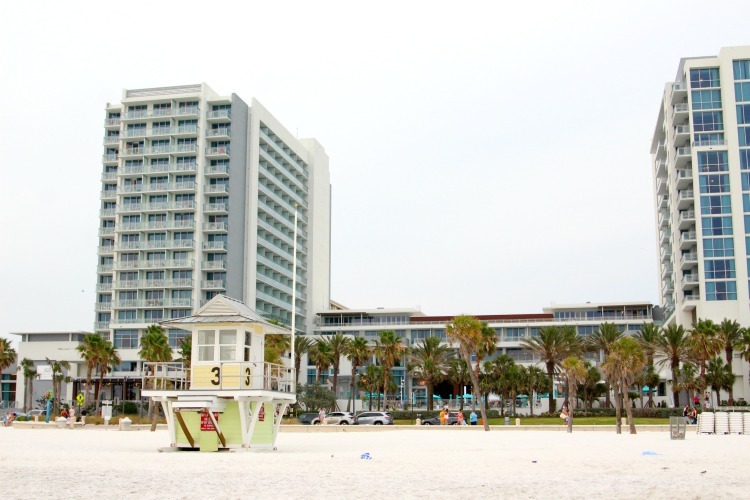 Just a short stroll down Clearwater’s beach walk, it’s a local favorite with open-air dining and views of the ocean. 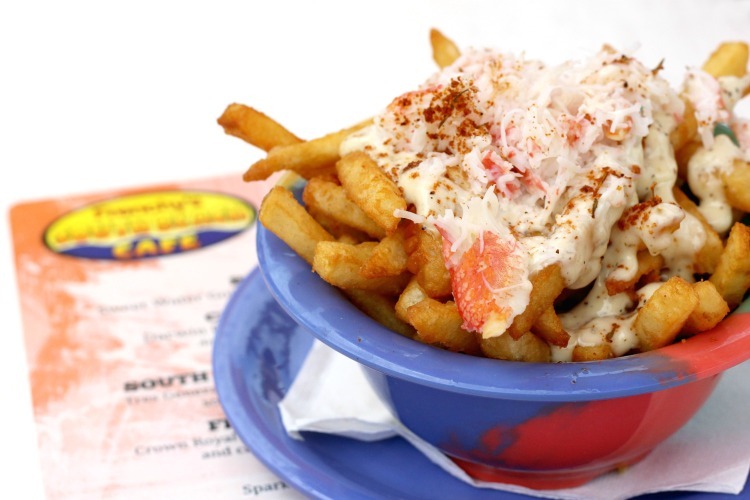 Though they’re most famous for their grouper sandwiches, the crab fries are not to be missed and even foodie Alton Brown has raved about them! 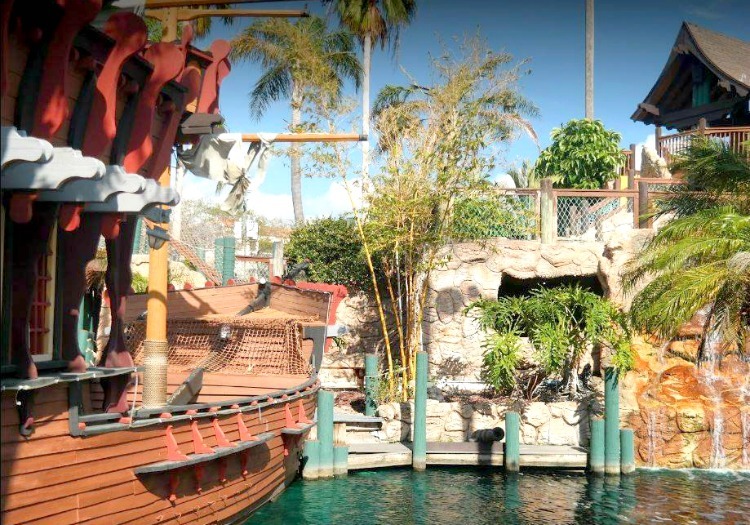 You can never go wrong with miniature golf and Captain Bligh’s Landing is a local favorite. With tunnels, caves, waterfalls and other challenges, this putt-putt experience is fun for all ages. Keep your eyes open and you may even spot some salamanders along the way! 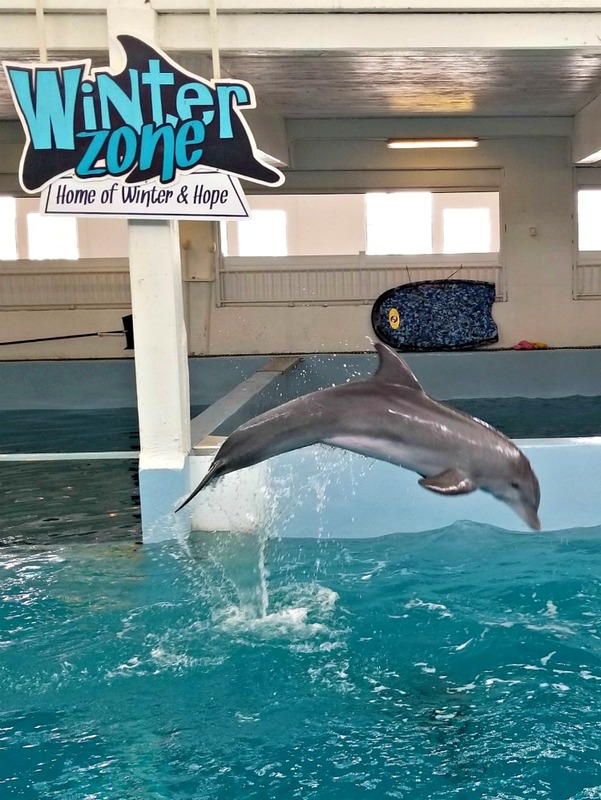 The Clearwater Marine Aquarium is just a short drive from the beach and one of the more popular family-friendly things to do in Clearwater. 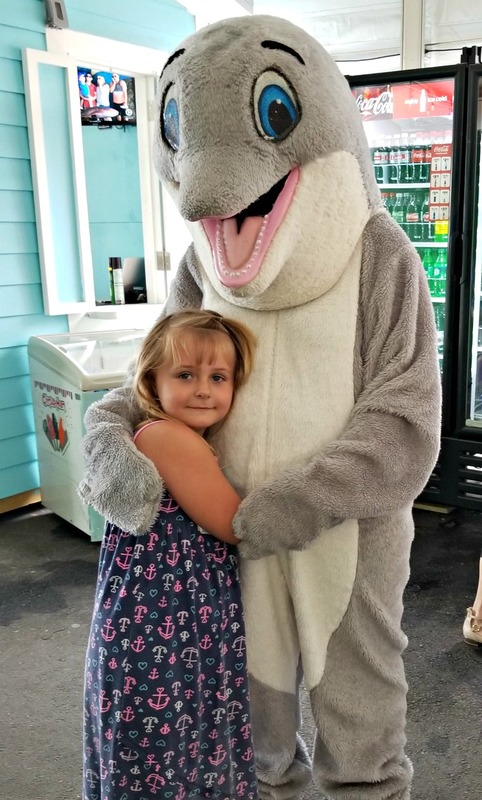 Here you’ll meet two local celebrities, Winter and Hope from the Dolphin Tale movies. While they’re the main draw, there’s so much more to see. 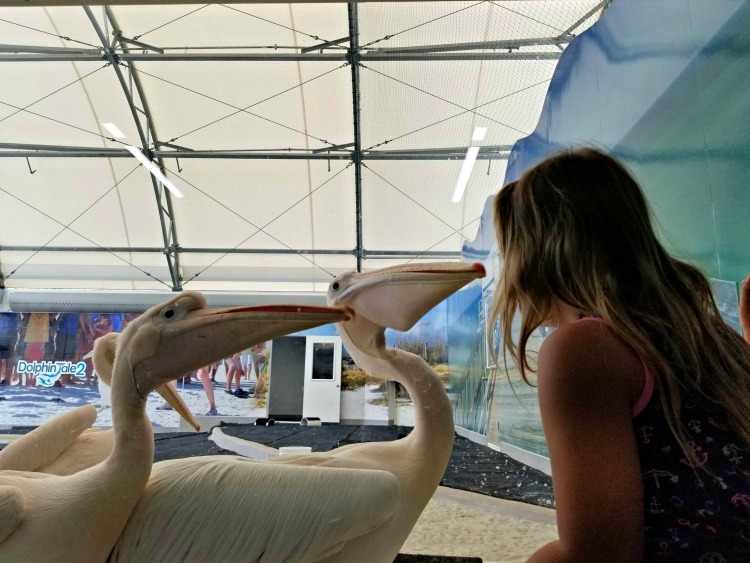 My girls loved hanging out with the pelicans, one of which also starred in the movies (just don’t ask us which pelican it was). You’ll also find otters, sea turtles, sharks and more. There are shows and feeding demonstrations throughout the day and visitors can even touch and feed the cownose stingrays. Since the aquarium is also a working hospital, spending an afternoon here is a great learning experience. We were able to learn a lot about the rescue and rehabilitation of marine animals as well as what we can do to help keep these animals safe. Don’t forget to give Winter a big hug on the way out! 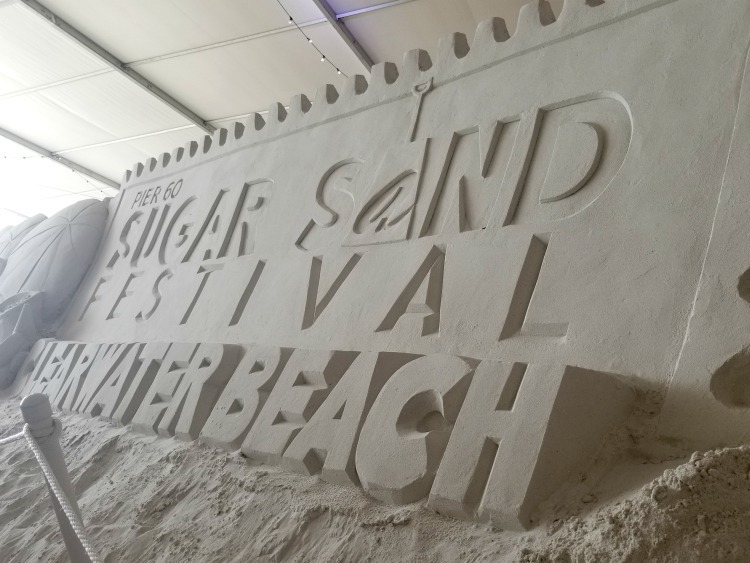 If you like sand castles, you won’t want to miss the annual Sugar Sand festival. Held every April, this year’s festival attracted more than 45,000 people over a 10 day period. The festival is a combination of free and ticketed events that include a children’s play area, street performers, sand sculpting classes, live music and more. 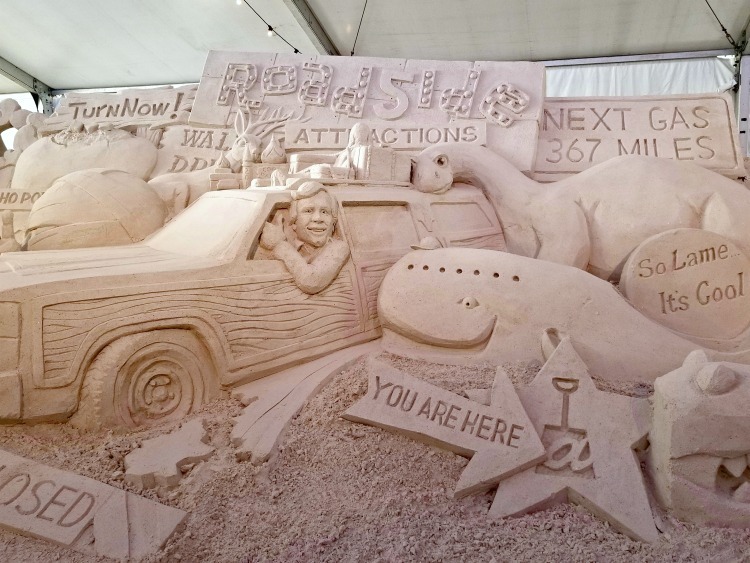 Buy a ticket and you can wander through a 21,000 square foot tent filled with some of the most artistic sand sculptures you’ve ever seen. This year’s exhibit took us on a road trip across the United States. 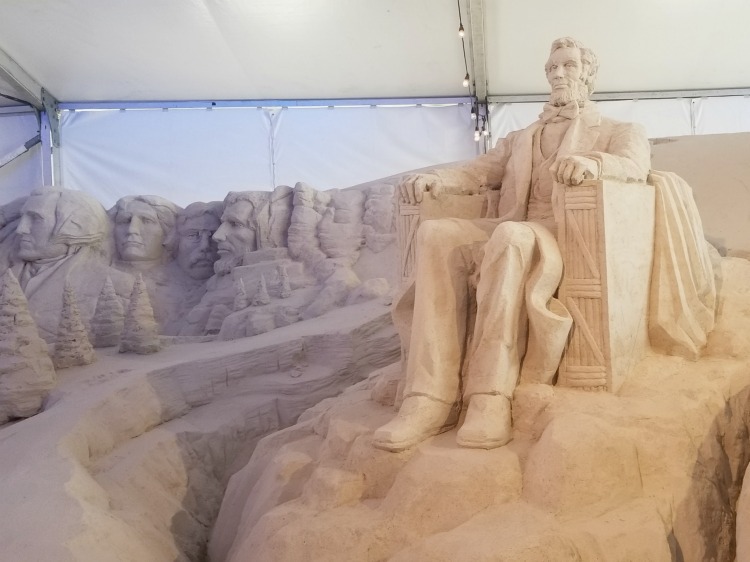 We saw sand sculptures of famous locations from New York City to Mount Rushmore. Sculptors fly in from around the world to create these awesome works of art. Maybe we can learn a little something from them because our sand castles sure don’t turn out like this! 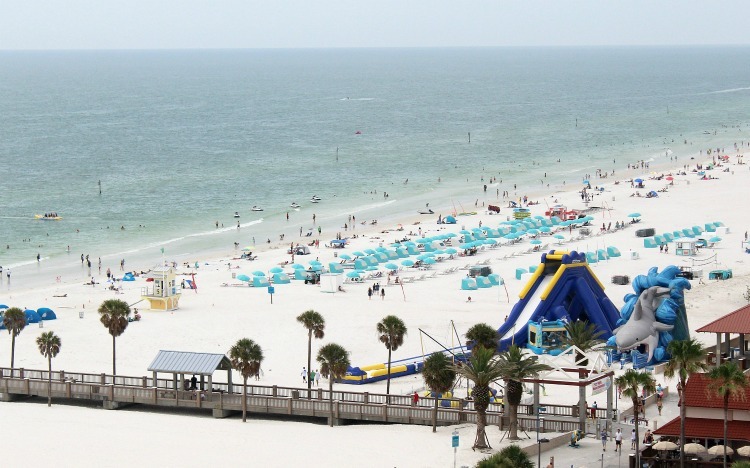 If you’re looking for a family-friendly hotel with a location that can’t be beat, check out the Wyndham Grand Clearwater Beach. With a view overlooking the ocean and easy walking distance to the beach, Pier 60, and plenty of shops and restaurants, it’s a great option for your family vacation! If you book a stay between now and September, you can also enjoy their Reconnected Experience, where they encourage families to disconnect from electronics and spend time reconnecting with each other. 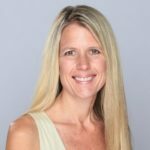 Author’s note: This is an updated version of a post originally written by Teresa Shaw.